Suzanne Kresser is a native of Toronto, Ohio and a 1992 graduate of Ohio University, Athens, Ohio with a B.S. in Communications and also a 1993 graduate of the Cincinnati College of Mortuary Science, Cincinnati, Ohio with a B.S. in Mortuary Science and maintains her State of Ohio funeral directing and embalmers licenses. Suzanne joined Tri-State Financial Services as an Insurance Licensed Representative in March of 2009. Her key roles are assisting clients with Medicare planning including Medicare Supplemental plans, Medicare Advantage Plans and Medicare Prescription Drug plans; individual and group life insurance; individual and group health insurance; fixed annuities; long-term care planning, and pet insurance. In 2014, 2015 & 2016 Suzanne was recognized as the leading producer of annuities with the Slovene National Benefit Association (SNPJ). She is a member of the Eastern Gateway Community College Foundation Board of Directors and is co-chairman of the Fifty by Fifty Campaign for the College; a member of the Trinity Health System Foundation Board of Directors and the OSU Extension Advisory Committee, where she was recognized in 2014 as an Honorary 4H Member. She served as the Executive Director of the United Way of Jefferson County for seven years and was inducted into the Jefferson Society Hall of Fame in 2013. 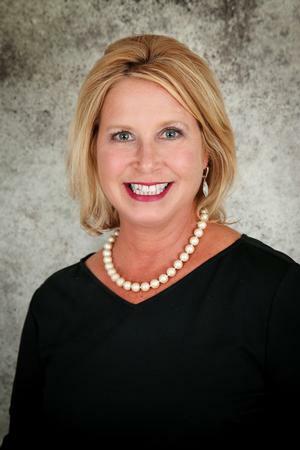 Suzanne has been active with the Jefferson County Chamber of Commerce for many years and completed the Chamber’s Leadership Training Program in 2005. She also served on the Chamber’s Public Speaker Series Committee. Suzanne has volunteered on the Jefferson County Public Investment Plan Advisory Group since 2008. She currently serves on the Steubenville Nutcracker Village planning committee in a fundraising capacity. A lifetime member of ABATE of Ohio, Region 1 Suzanne served as a Board Member and Treasurer from 2004 until 2009. In 2011 Suzanne received the Community Service Humanitarian Award from Quinn Memorial AME Church and in 2016 Suzanne was nominated for Woman of the Year by the Ohio Valley Business and Professional Women’s Club. Suzanne is a former member of the Steubenville Rotary Club where she served on the Board of Directors from 2004 – 2008 and 2011 and served as club President, 2006 –2007 and is a multiple Paul Harris Fellow.